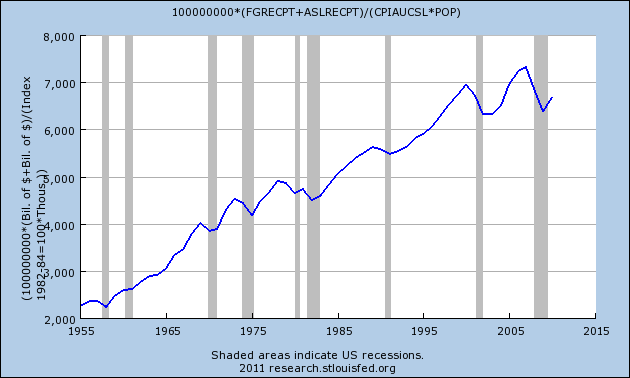 Deflate by GDP instead of (pop*cpi) and you get a very different picture. Of course. Government activity above a modest level suppresses growth rates. 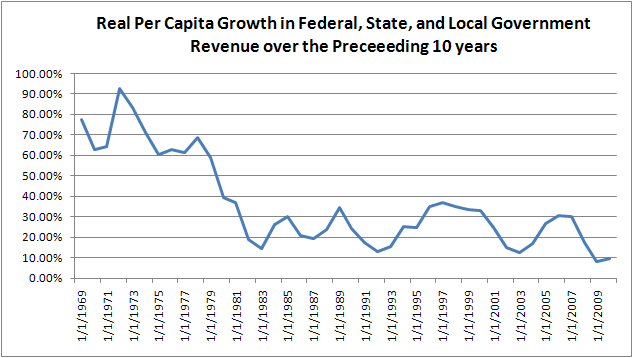 So you would expect government growth to eventually reach its maximum percentage of economic activity. But this is an indictment of government activity. If government were useful, it’s absolute level would grow but it’s percentage of GDP would drop.